Part and parcel of the Beta portfolio is a charity operation, Beta Charitable Trust participating in a range of activities to help the less fortunate including Water Projects, supporting Orphans and many more. How the staff of Beta have helped! The staff of Beta occasionally have days and activities to help certain charities. Scroll down below to see a few! 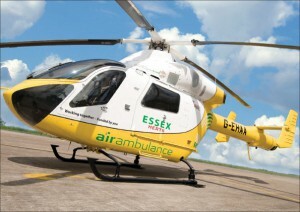 During the month of April the staff of Beta had a ‘dress down day’ raising £100 for the Essex Air Ambulance! This charity was voted for by the staff themselves. The intrepid staff of Beta Pharmaceuticals have done it again! 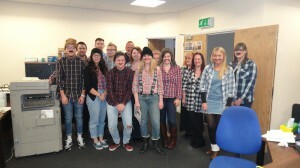 After the successful ‘Wear it Pink Campaign” in Aid of Breast Cancer , Staff decided to support a men’s charity raising £200 in aid of the global charity “Movember” where funds and awareness for prostate and testicular cancer and men’s mental health issues are raised. Since its humble beginning in 2003 in Australia, the charity has become global with 4 million Mo Bros and Mo Sistas in 21 countries worldwide, dedicating the month of November to growing amazing moustaches’, fund raising and effectively acting as walking talking billboards for men’s health issues. And if any of you were wondering…those really are real moustaches adorning the beautiful faces of our very own Beta Pharmaceuticals “Mo Sistas”!! Congratulations everyone!! 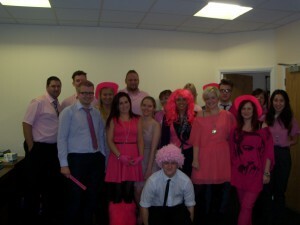 Staff of Beta Pharmaceuticals joined in with the national campaign ‘wear it pink’ day on Friday 25th October. Breast Cancer Campaign is a charity who funds world-class breast cancer research projects in the UK and Ireland that provide the greatest potential to benefit patients. It currently supports 95 research projects worth £15,630,534 in 33 centres of excellence across the UK and Ireland. So far the charity has awarded over 360 grants with a total value of over £39 million to universities, medical schools and research institutes across the UK. Breast Cancer Awareness Month is an annual event held in October where people wear something pink. £75.31 was raised on the day through donations and £424.69 was donated from Beta Charitable Trust totalling the amount to £500.00. The day was great and created an atmosphere full of fun with wigs and face paint!